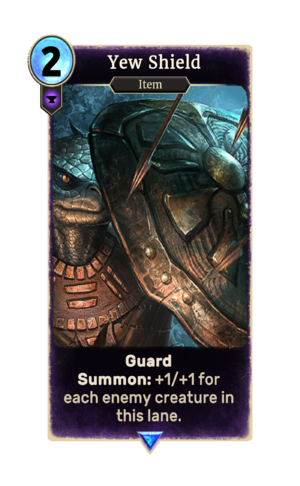 Yew Shield is a rare Endurance item card. It is part of the Core Set. Yew Shields are an item type in ESO. This page was last modified on 7 October 2018, at 21:48.